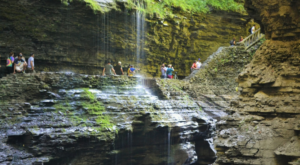 Living in a city that’s primarily situated along the shores of Lake Erie means that we have ample opportunities to enjoy waterfront views and activities, but unfortunately, you’ll have a hard time finding any major waterfalls here in Buffalo. 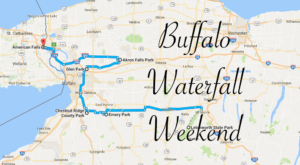 Taking you anywhere from a half-hour to an hour outside of the city, you can quite quickly discover stunning waterfalls just beyond Buffalo’s skyline if you’re willing to go for a drive. 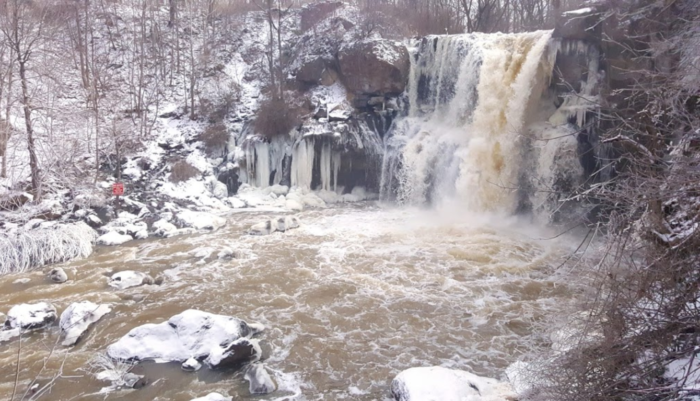 Transforming and providing you with new sights, check out what these gorgeous waterfalls just outside of the Queen City look like during the winter this year. So, this may not be a natural waterfall but it’s still spectacular to see when it’s frozen over during the wintertime! 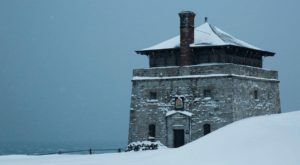 A great place to go for a walk through the woods, during the winter you can crunch your feet through the snow and make your way to the views of this historic dam. 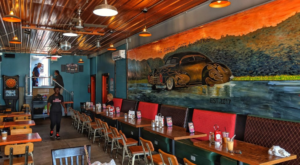 One of the best parts about this place? 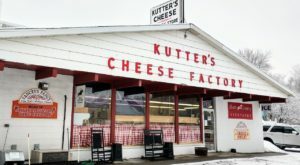 Not too many people know about it, so you’ll frequently have the whole place to yourself. 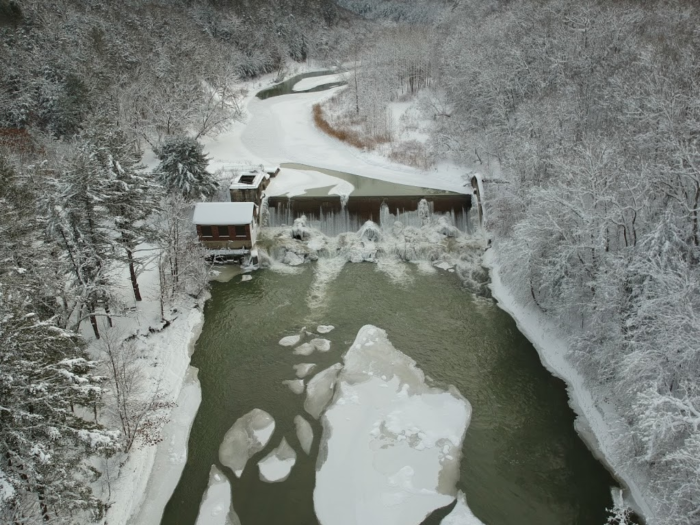 Only an hour east of Buffalo, head out to the town of Castile in Wyoming County to experience one of the country's best state parks that's packed full of frozen waterfalls during the winter. 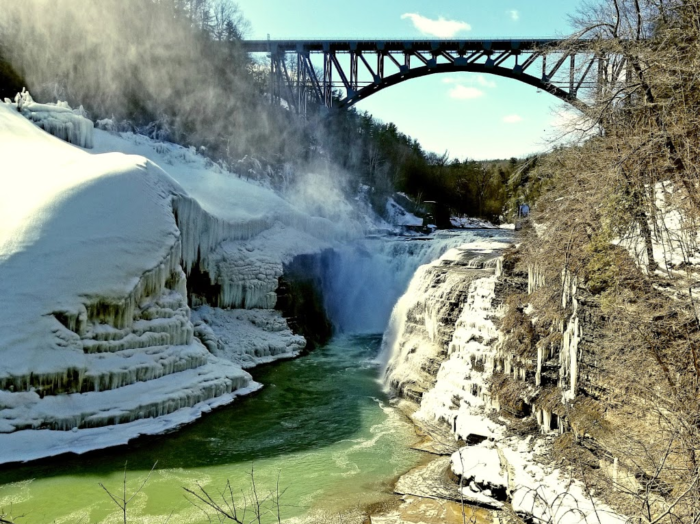 Not only will you get to see the three major waterfalls that are situated in the park along the Genesee River, but along other trails and pathways within Letchworth, you'll find other frozen waterfalls that come in all different sizes. You'll feel like you're in frozen waterfall heaven when you're exploring here. 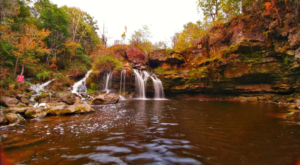 Covering nearly 300-acres of land in the village of Akron, Akron Falls Park draws in visitors from all over the area with its stunning waterfall that sits in the heart of this little park. The 40-foot waterfall cascades down along Murder Creek, and during the wintertime when things freeze over — Akron Falls looks like something too stunning to really exist. 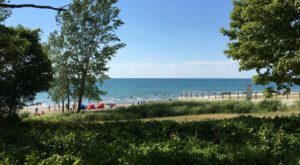 The country's oldest state park is not only just a half-hour north of us in Buffalo, but it's also open all throughout the year. 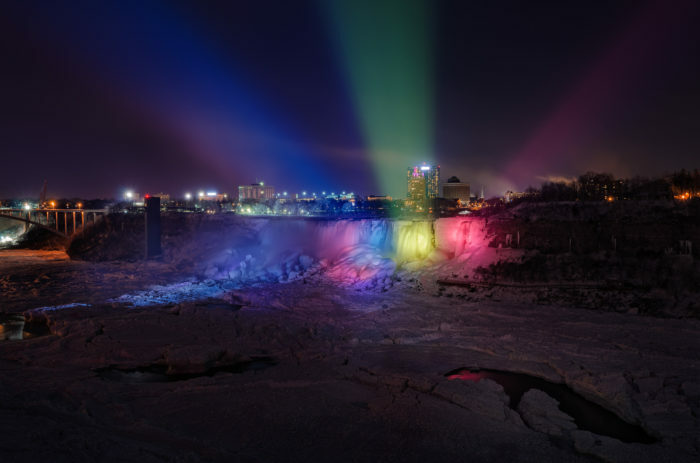 During the winter when the temperatures drop, Niagara Falls turns into one of the most magical state parks in New York. Visit Niagara Falls and walk around to see the amazing sight of this massive natural wonder that's completely frozen over and covered in fresh snow — it's something you'll never forget! 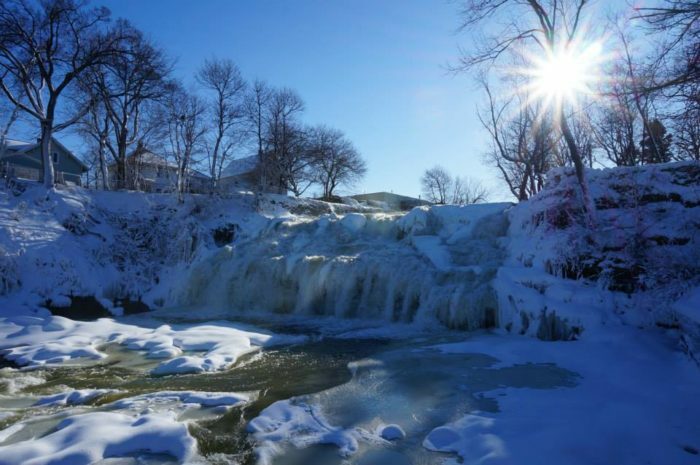 It may not be the largest waterfall outside of Buffalo, but Glen Falls in Williamsville is a scenic sight to see during the wintertime — or any time of year. Part of Erie County, the 30-foot waterfall cascades down along Ellicott Creek and can be viewed from the eastern areas of Glen Park in town. 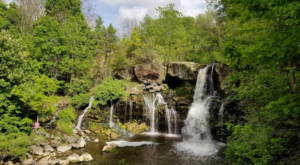 Easy to access, Glen Falls is the perfect waterfall to visit if you’re not looking to get too far outside of Buffalo and need a short but sweet walk through the park. 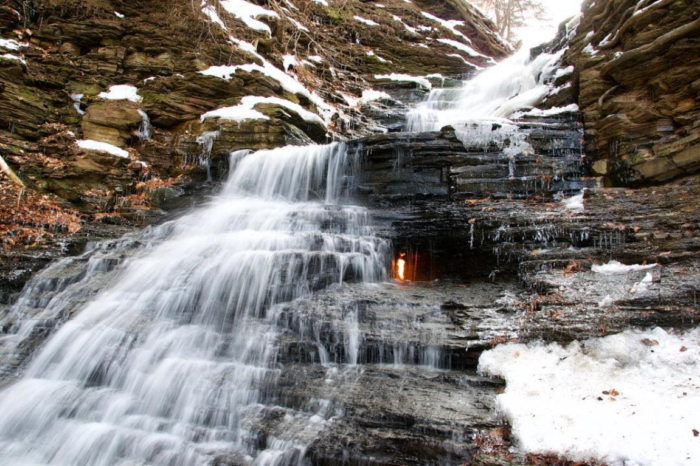 One of the many reasons we love to head out to Chestnut Ridge Park during the winter, Eternal Flame Falls looks even more mesmerizing when you get to see the elements of ice and fire mixed together in the heart of Western New York's snowy scenery. If you've only ever hiked out to Eternal Flame Falls during our warmer months, it's time you see this frozen over wonder for yourself before 2019 is over! Which waterfalls do you like to see frozen over during the winter? 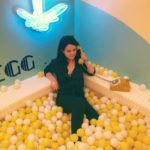 For more amazing destinations that are worth checking out this winter, make sure you read about how you can Hang Out In An Igloo At This One-Of-A-Kind Restaurant In Buffalo!